Experienced yacht charter broker Nicole Caulfield has spent the past 18 years either living in or exploring the Bahamas. Here, she offers her tips on what to see and do. 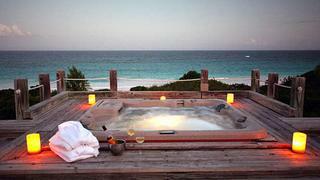 When it comes to the Bahamas, Harbour Island and the Exumas are two of my personal favorites. The Exumas are a perfect place for snorkelling and swimming; the water is beautiful. On Harbour Island in North Eleuthera, I definitely recommend the Pink Sands beach and resort. A cruise along the underwater rock formation called the Devils Backbone is an amazing trip to do on a yacht or on a tender as well. The coral heads are clearly visible and its easy to appreciate how close you are to the beach and to the coral heads themselves. Ramora Bay is one of my favorite spots to catch the sunset and have a cocktail. Harbour Island is also home to several neat little boutiques. Take a golf cart to visit the upscale Blue Rooster shop or to meet Eddie Minnis, a local artist and songwriter. There are also a lot of fantastic diving spots around Harbour Island, but keep in mind that the 2.4 metre draught is a limiting factor. If you have a yacht with a draught of 2.7 metres, you must stay offshore by three kilometres. Allens Cay in the Exumas is a great destination for kids and adults. 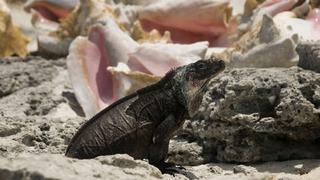 The waters are shallow and this cay is known for the endangered Northern Bahamian Rock iguanas that sun themselves on the beach. The charm of the Bahamas is in the outer islands, but Nassau island is a great place to begin or end a charter. Its easy to fly in and out of Nassau, either privately or commercially. Some clients like to spend their last night at the famous Atlantis Resort and Casino, to enjoy the casino and the beautiful aquariums. I've also started a couple of charters in Georgetown or Grand Isle Marina, and North Eleuthera is also fairly accessible for flying in commercially as well.